Here is a beautiful visual display of Art Deco Wedding Cakes to have you and your wedding guests oohing, ahhing and drooling! Most professional cake bakers should have a nice assortment of themed wedding cakes for you to choose from. 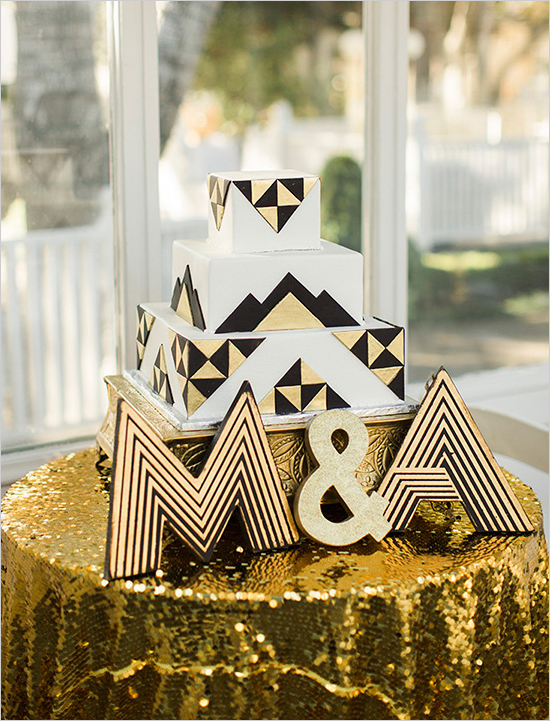 Art Deco themed weddings are quite popular today and therefore, finding an appropriate cake design shouldn't be too much of an issue. If the bakery you have chosen doesn't have a Art Deco motif cake in their repertoire, don't fret my pets. 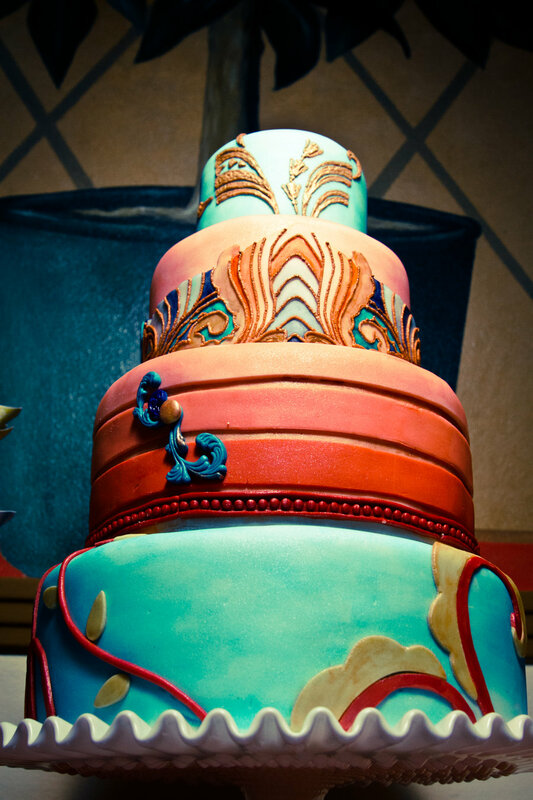 Most bakeries will work with you to come up with a design that will look fabulous on your special day. To help your bakery, here are some of the key characteristics of Art Deco that they should incorporate. You don't have to have all of these elements, just stick to one or two to come up with an authentic, simple and elegant design. 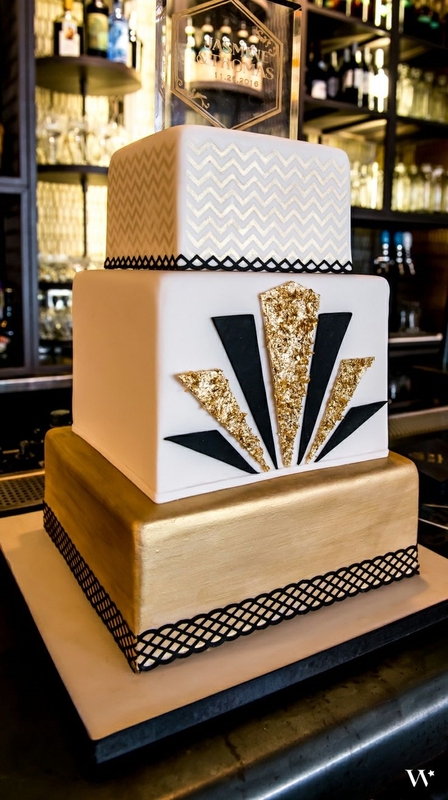 And if you're still stuck for ideas, just scroll down and have a look at some of these stunning Art Deco Cake examples.